A monthly event – after our Wednesday Wee Weekly Worship – focusing on pressing, topical or intriguing issues concerning faith, politics, society and culture. In the original Greek myth, when Pandora opened her box (or jar), death and many other ‘evils’ escaped into the world. All that was left in it was … hope. 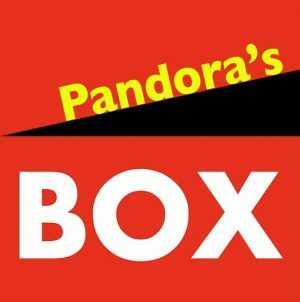 We trust that our Pandora’s Box helps encourage such hopeful things as increased insight and understanding and, at the very least, an opportunity to listen and talk about what’s happening today. Wednesday 11th October: ‘Catalonia calling’ … a selection of short films looking at the historical and contemporary context, with discussion. Wednesday 10th January: ‘Meeting the Magi’, with Kelvin Holdsworth, Provost of St Marys Episcopal Cathedral in Glasgow, and Madinah Javed who will be in conversation about their Christian and Muslim experiences of Epiphany – which of course, Epiphany, is the celebration of a visit 2000 years ago to a poor Jewish child and his family by wise foreigners (of undefined, religious backgrounds) bearing gifts. Wednesday 14th February: As this is Ash Wednesday, there will be no Pandora’s Box on this date. Wednesday 14th March: ‘The Betrayal Of Technology’ … the challenges and dilemmas of technology, according to Jacques Ellul. Wednesday 11th April: ‘MLK’ … on the week after the 50th anniversary of Martin Luther King’s assassination, a chance to watch a film and reflect on his contribution to justice and peace. Wednesday 9th May: details to follow.